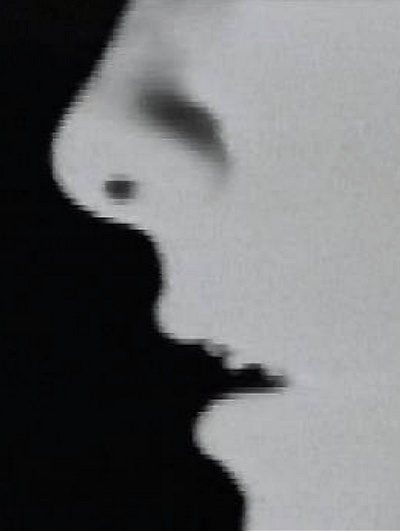 How can one translate the experiences offered by Paul Clipson’s films into linear writing? It can’t be impossible, for the films themselves proceed in such a direction: each one has a beginning, a middle and an end. Yet they do not work in that way exclusively—there is more at stake here than simple causality. 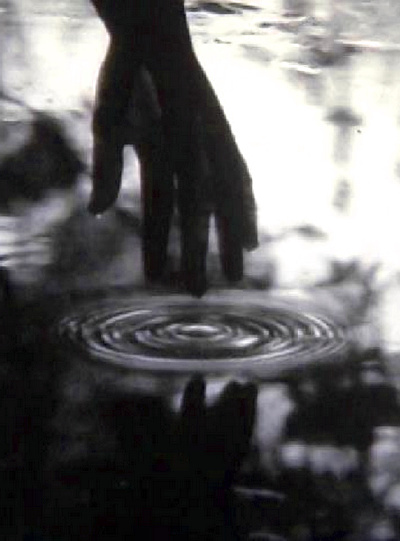 The elegantly ravishing super 8 films of Paul Clipson are lyrical explorations of light and movement. His images, mostly edited in-camera, reveal the rhythms, energy and sensuality of the everyday that we often fail to see. The influence of experimental filmmakers such as Stan Brakhage, Marie Menken, Bruce Conner and Bruce Baillie is palpable in his multi-layered studies, as well as that of the many sound artists and musicians with whom he has collaborated over the years, such as Jefre Cantu-Ledesma, Gregg Kowalsky and William Fowler Collins. Whoever came up with the idea to team Thelma Todd and Zasu Pitts knew what they were doing. The gorgeous Todd and the flighty, spinsterish Pitts were as different on-screen as two women could be, but they made an effective comedy duo. The ladies were a believable screen couple (they were friends in real life as well), and despite the crazy antics they had to go through, they still came off as appealing and likable. Thelma Todd & Zasu Pitts: The Hal Roach Collection 1931-1933 presents all 17 of their short comedies, beautifully restored from their original negatives by Paul Gierucki and Cinemuseum. 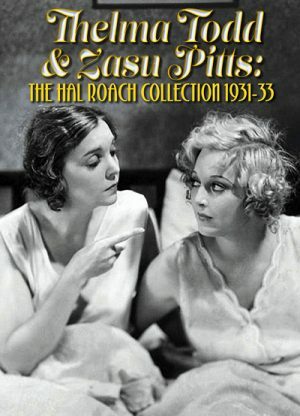 For those interested in film history, especially fans of vintage comedy, this release of all Hal Roach-produced two-reel shorts featuring Thelma Todd and ZaSu Pitts is cause for celebration. These short comedies also feature the wonderful Hal Roach stock company of comedians: Billy Gilbert, James C. Morton, Charlie Hall, Anita Garvin, Bud Jamison, and others, as well as special collaborations with other top Hal Roach stars like Laurel and Hardy and Charley Chase. 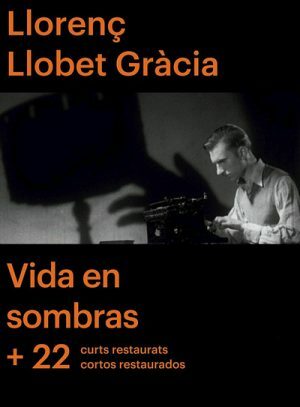 Llorenc Llobet Gracia (1911 - 1976) has always bonded intimately with the world of cinema since his father gave him, in his young age, a Pathe-Baby camera. This childhood experience is re-enacted at the beginning of Vida en sombras, the only commercial film he made, in 1948, after having developed an intense activity in amateur cinema circles. The plot, with autobiographical tinges, is about the life of a man born literally in a stall during one of the first cinema showings in Barcelona. His fascination for Chaplin’s short-films and the Pearl White series forge his childhood and, in his yough, he devotes his time to write for cinema magazines and film everything he sees. However, the 1936 coup d’etat, ruins everything. While the protagonist, performed by Fernando Fernan Gomez, is shooting war images on the street, his pregnant wife, Maria Dolores Pradera, dies at home, fatally wounded by a burst of ammunition. 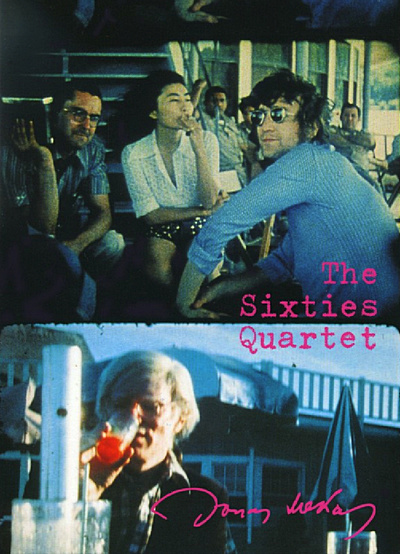 Four films that shed light on the life, art and atmosphere of the sixties. Mekas was born in Lithuania in 1929. In 1944 he fled his home country because of the war and went on a long and dangerous journey through Europe before settling in the US. In 1949 he bought his first 16mm Bolex camera and started filming moments of his life. In his long and eventful carrier he has made countless films, both long and short, and received awards for his work all over the world. His films are varied in form but he is perhaps most known for his “diary films”, which are made up of snapshots of his daily life. Mekas has collaborated with some of the the world’s most celebrated artists, such as Andy Warhol, Allen Ginsberg, Salvador Dali, Yoko Ono and John Lennon. Mekas is man of many talents. Through the years he has done a lot of writing on cinema and he founded the magazine Film Culture with his brother Adolfas Mekas, which was to devoted to writings about the art of cinema. Mekas is also a prolific writer of poetry and is considered one of Lithuania’s greatest contemporary poets. Tim Cawkwell was born in Oxford in 1948, and completed his studies in Latin, Greek and Ancient History at the University there in 1970. He received another education - parallel, unofficial - in the cinema, and has been watching films ever since. Between 1968 and 1987, he made films, first in 8mm then in 16mm, specializing in working directly on the film frame. He has had a career first in publishing, then in the voluntary sector, ending up as chief administrative officer (a lay position) at Norwich Cathedral. He was involved in the publication of 'The World Encyclopaedia of Film' in 1972, and published 'The Filmgoer's Guide to God' in 2004. Drawing inspiration from the American Underground films reaching Britain at the time, The Light Years seeks to emulate the qualities of the diary, thus making the personal public. 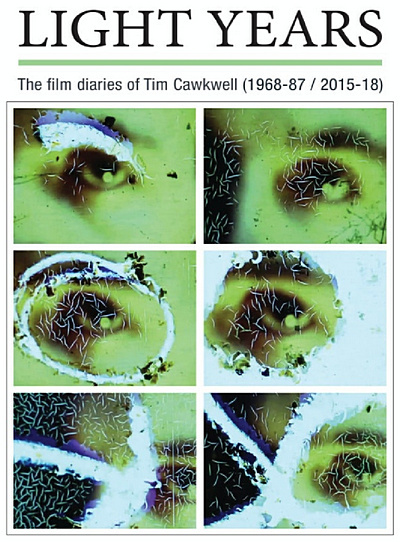 The work brings together a series of short films made on 8mm between 1968 and 1987 to create a single diary film in 25 sections with its own narrative arc as a story of self-education. 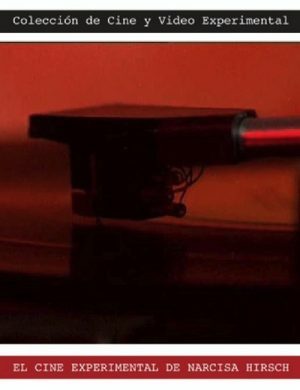 The material was digitized, re-edited, and voice-over and sound added between 2015 and 2018. William Finley who stars in Woton’s Wake and Dionysus in ’69 would work with De Palma on a total of eight films including his most recognizable role as Winslow Leach in Phantom of the Paradise. Early on in his career Brian De Palma’s fixation with voyeurism would become a central theme that he would explore time and again. Brian De Palma Annees 60 gives his fans a chance to see some of his rarely seen early works in their best home video presentations to date. This collection of films is not representative of his later works which fans now associate him with. 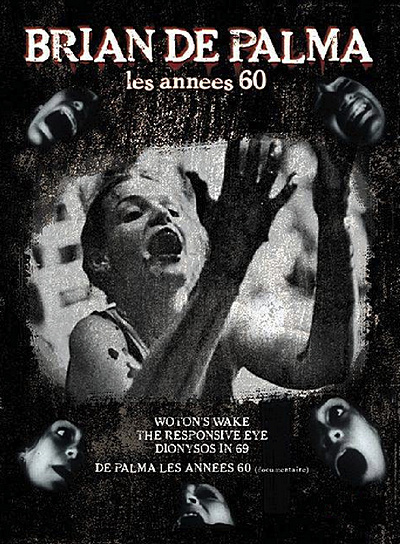 Overall the films contained Brian De Palma Annees 60 may not be some of his best films to date, still they show that even early on De Palma had already developed his cinematic style. De Palma’s willingness to take on controversial subjects and his desire to satisfy himself as filmmaker is one the main reasons he has been able to make films for nearly forty five years and this set of films showcases an artist finding his muse. Hollywood Boulevard intersects Broadway in this lively collection of classic shorts from the Paramount Studios. 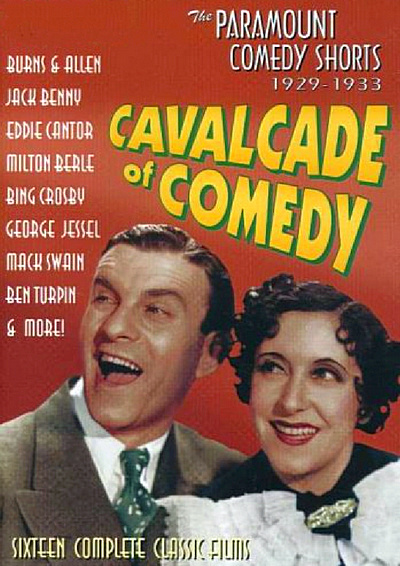 In the late 1920s and early '30s - when the movie industry was just learning to talk - Paramount wisely turned to the New York stage for a new crop of entertainers who had already mastered the nuances of verbal comedy. This anthology serves as a laugh-filled time capsule of the brightest lights of vaudeville, showcasing the early works of such American legends as Jack Benny, Bing Crosby, Burns & Allen, Eddie Cantor, and George Jessel (who originated the lead role of The Jazz Singer on stage). It also provides a fascinating historical record of some of the stage legends who have begun to fade from memory, including Lulu McConnell, Tom Howard and Smith and Dale (the inspiration for Neil Simon's The Sunshine Boys). Also included are Lighthouse Love and Cleaning Up, a pair of Mack Sennett comedies that disprove the myth that sound technology destroyed the slapstick tradition. This DVD reveals three incarnations of a popular subgenre of slapstick, the home-builder's nightmare: The Plasterers, Plastered and A Put Up Job. Watching the three films together (made in 1929, 1930 and 1931), one can follow the evolution of vaudeville slapstick to its own truly cinematic form. Across the course of just one year, Charlie Chaplin went from a popular stage actor to screen megastar and box office draw with the films he made at Mack Sennett’s Keystone Company. Keystone turned out fast-paced, broad slapstick comedy shorts which delighted audiences of their day but often look a little crude by modern standards. Nevertheless, Chaplin shone out amongst his contemporaries and when his contract came up for renewal at the end of the year, he demanded a higher wage of $1,000 a year. 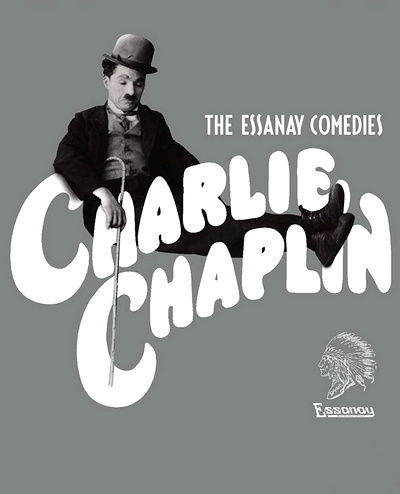 When Sennett refused this demand, Chaplin negotiated an even higher wage of $1,250 a year (plus a $10,000 signing bonus) with the Essanay Company. Chaplin’s move was not only financially beneficial but also crucial in allowing him the greater creative freedom to refine his art. Though the Essanay films are now seen as a transitional period for Chaplin, it is quickly apparent when watching the films chronologically that he is going from strength to strength and, to audiences who were not aware that even better was to come, the films on the BFI’s new complete overview of Chaplin’s Essanay work were considered the gold standard of screen comedy at the time.